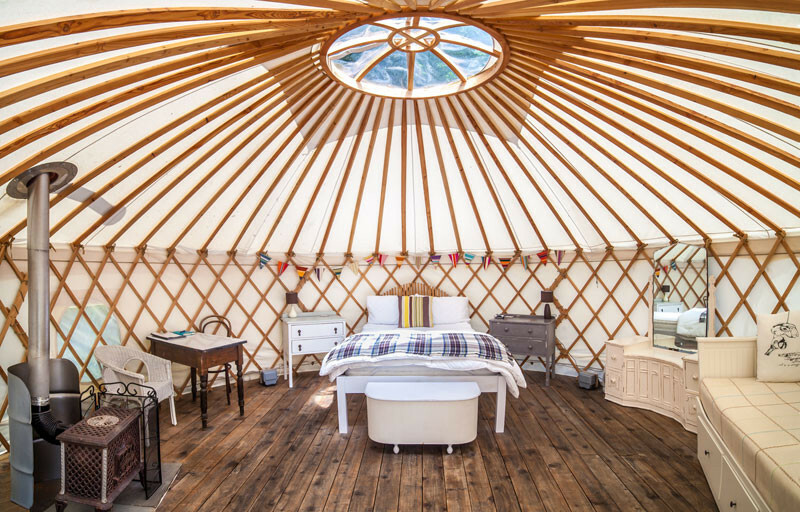 Set on organic land, this is one of the best Glamping destinations in the country. 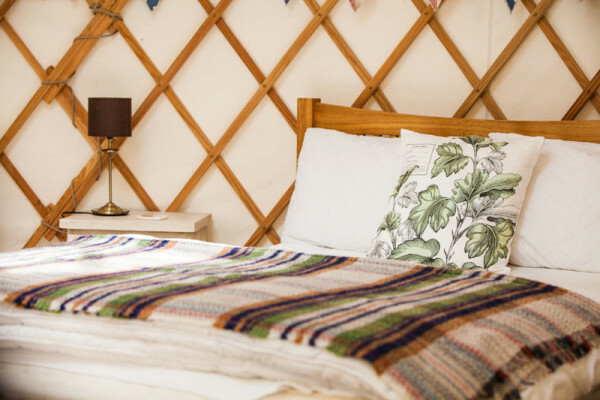 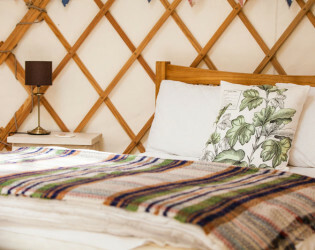 The Yurt Retreat can be found nestled at the foot of a medieval castle site, where four luxurious yurts welcome you to a slower pace of life. We provide the site and accomodation. 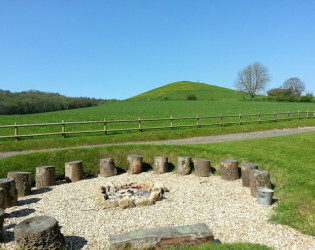 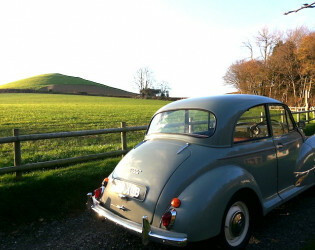 You will need to arrange other supppliers to provide a marquee and catering. We can help you with this. 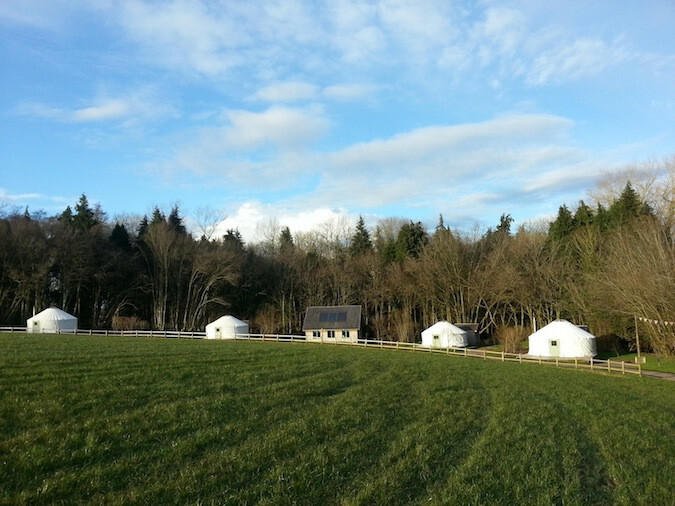 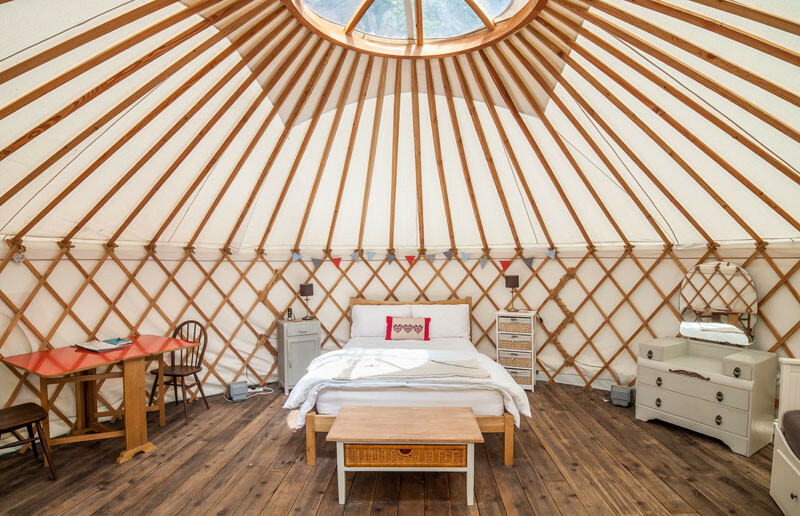 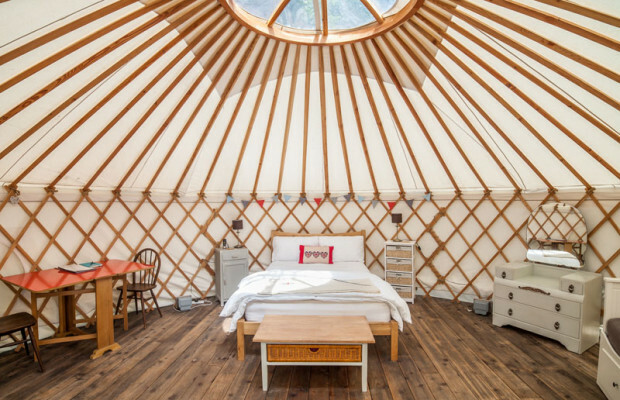 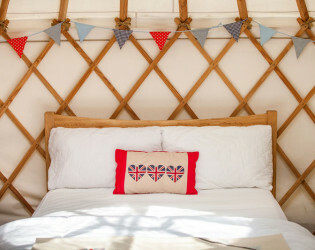 4 Luxury Yurts sleeping up to 4 guests in each. 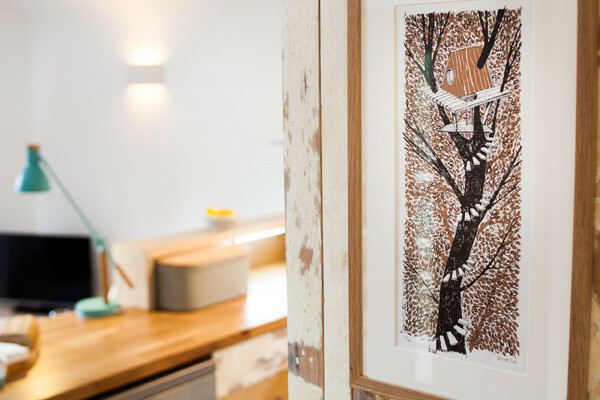 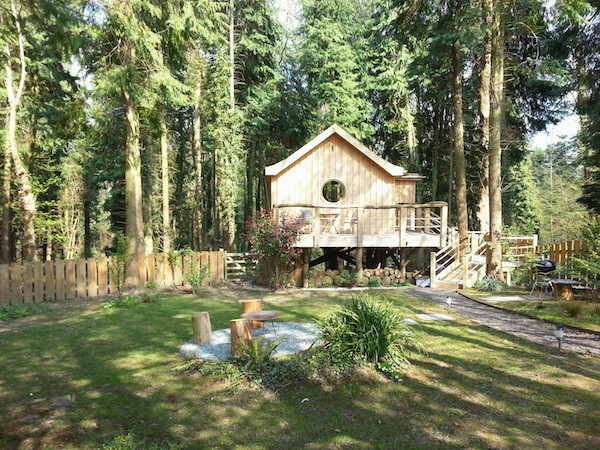 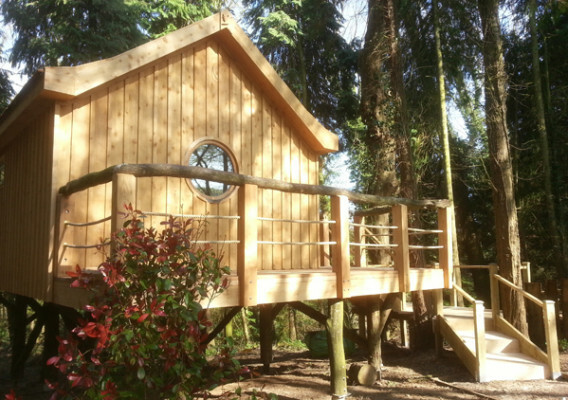 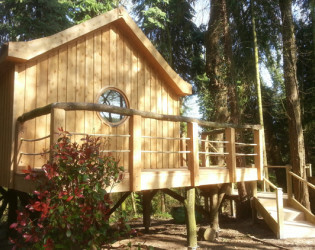 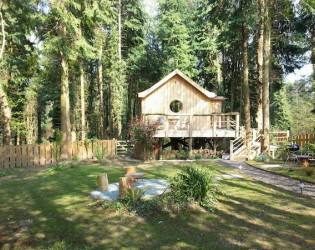 1 Treehouse sleeping 2 (best for the Bride and Groom!). 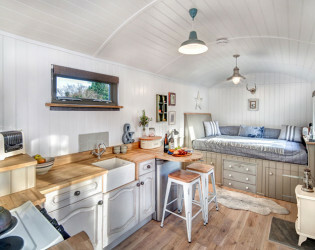 4 Luxury Shepherds Huts sleeping 2 guests in each. 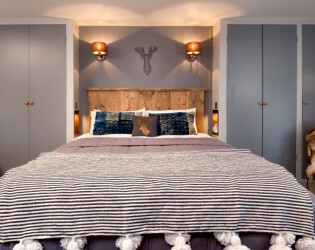 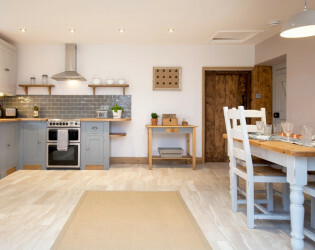 3 incredible Barn conversions sleeping 2 guests in each (best for parents and in-laws!). 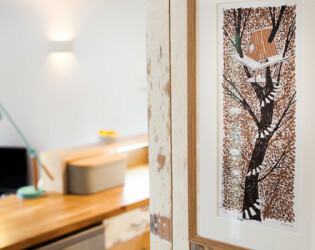 Maximum 32 guests. 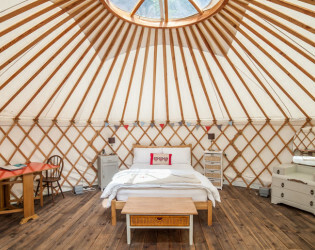 No additional camping. 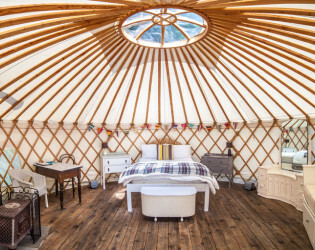 Here at the Yurt Retreat we offer you the chance to create the relaxed and unique celebration you’ve always dreamed about. 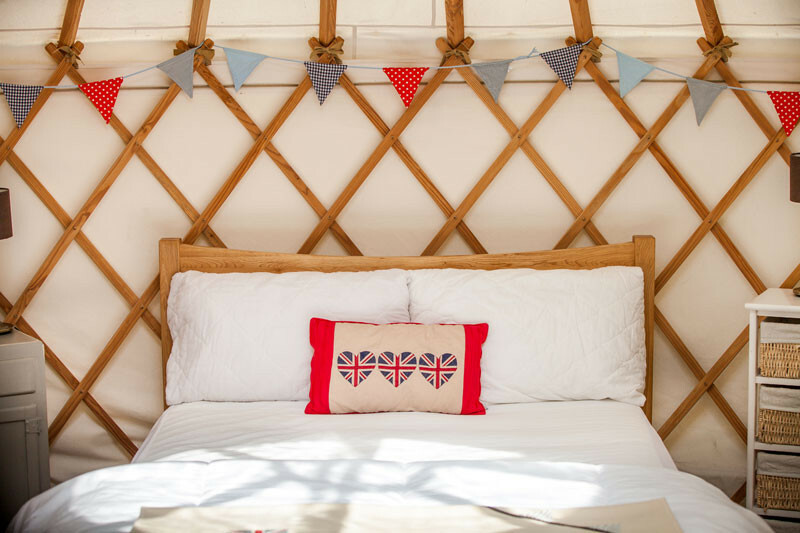 Whether you want a bunting decked marquee or a stretch Yurt, a standing buffet or regal feast we leave the important decisions to you. 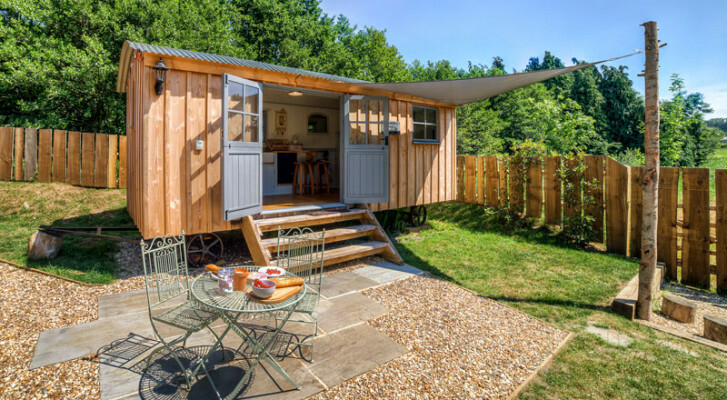 With Luxury toilets, electricity and plenty of parking right by the marquee you’ll hardly believe you’re in such beautiful surroundings. 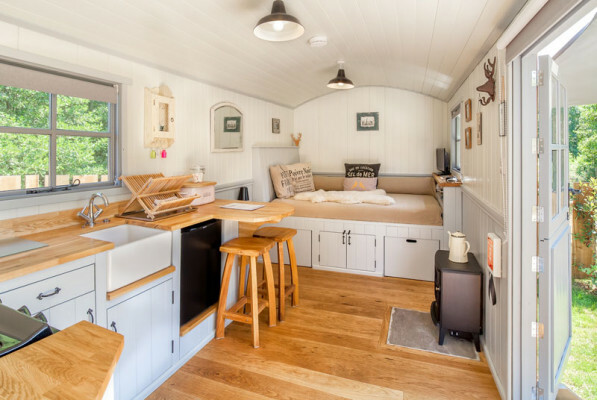 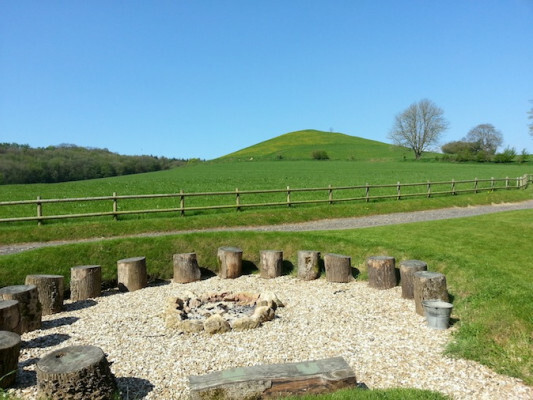 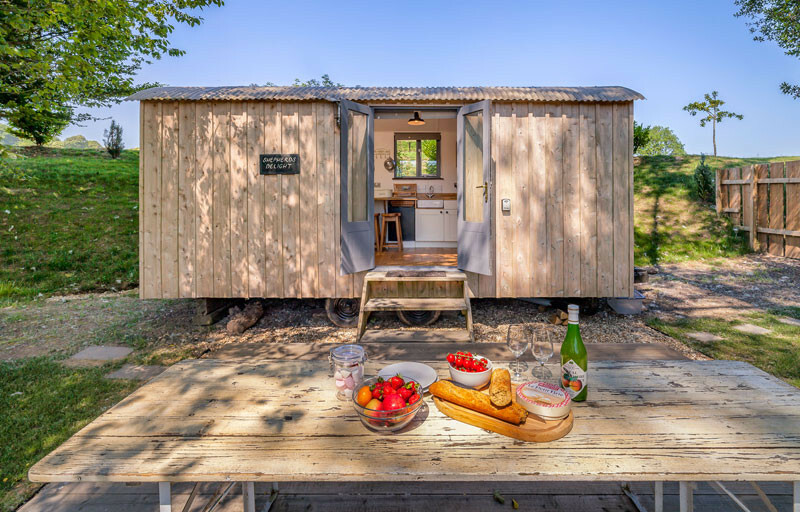 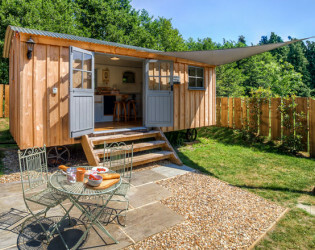 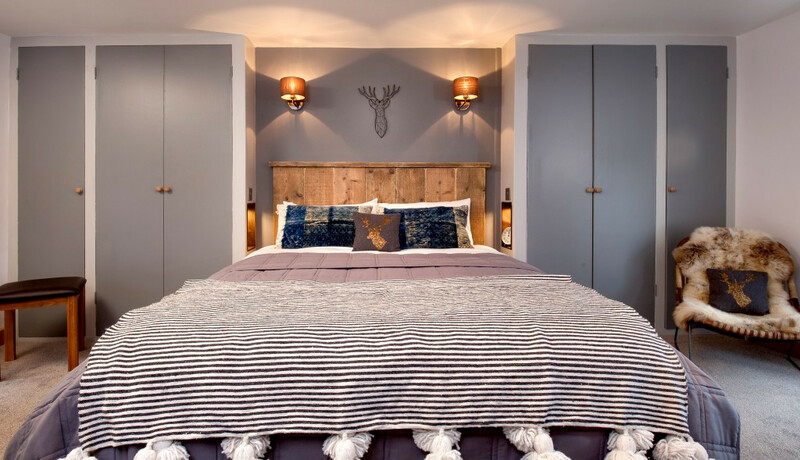 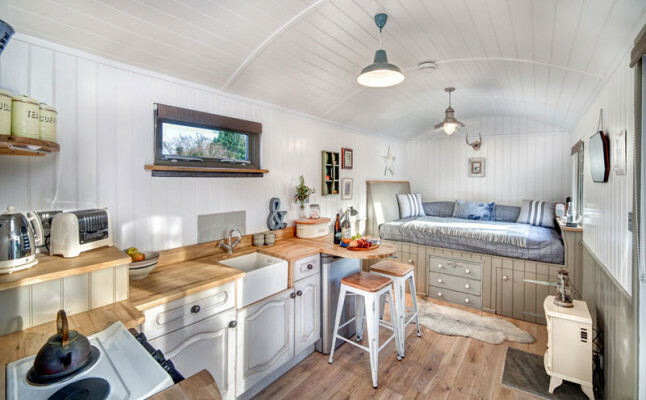 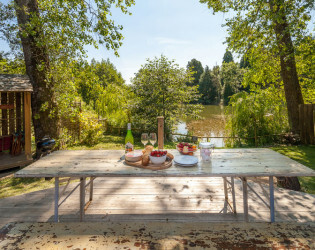 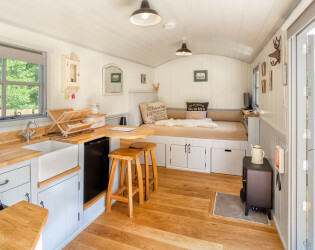 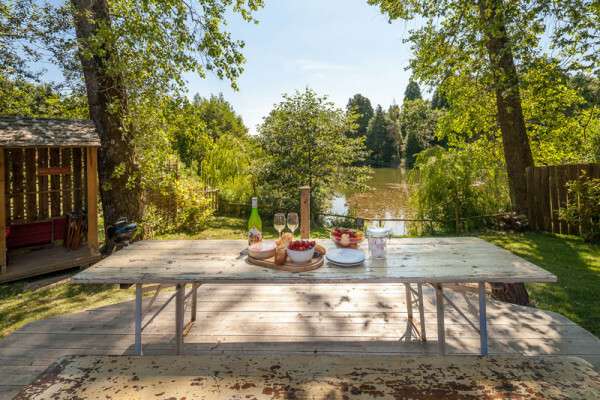 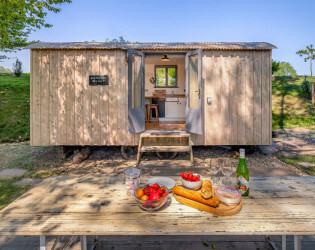 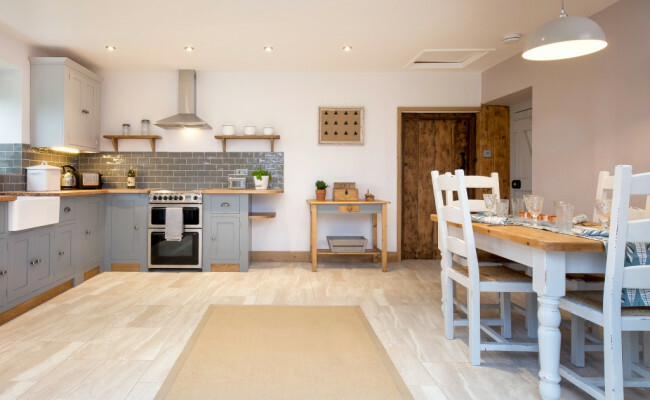 All this, coupled with exclusive hire of our Glamping accommodation with the option to hire the nearby Fordscroft Cottages, everything you need is at hand.